Located on the uruguayan coast, but very close to Buenos Aires, Colonia de Sacramento is the only city that was founded by the portuguese along the coast of the Río de la Plata. The city was declared Mankind´s Cultural Heritage by UNESCO because of its well-preserved architectural richness. Walking around Colonia is like taking a walk through history. You can cross the Río de la Plata by boat to get to this beautiful city of narrow cobbled streets and remains of ancient fortresses and buildings that also hosts the spanish and the portuguese museums. In Colonia, there is a diversity of architectural styles: portuguese-style colonial buildings and typical brick dwellings of spanish architecture. However, visitors are not drawn to Colonia only for its history, but also for its white sand beaches and woods that offer contact with nature. It has great cultural richness, candombe rhythms and some remains of the african culture as well. You can spend one day there or stay overnight at a cozy hotel or inn. It is a good alternative to rent a bike or motorbike and ride along some of the city´s streets, such as Santa Rita, San Gabriel, and de los Suspiros, around the lighthouse. 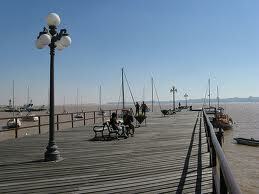 Other attractions include the port, Ferrando Beach, the forest reserve, and its beautiful promenade. 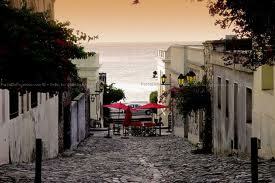 Every year, thousands of tourist visit Colonia. Because of the city´s careful preservation, the streets have been used as scenery for many historical films, such as "De eso no se habla", by María Luisa Bemberg, starring Marcello Mastroianni. Cataratas del Iguazu: One of the "Seven Wonders"